Russia's hybrid military forces attacked Ukrainian army positions in Donbas 27 times in the past 24 hours, with one Ukrainian soldier reported as wounded in action (WIA), according to the press service of the Anti-Terrorist Operation (ATO) Headquarters. The Ukrainian forces returned fire 19 times, using weapons not banned by Minsk agreements. In the Donetsk sector, in the evening hours and overnight, militants fired three times from heavy machine guns and small arms at the Ukrainian fortified positions near Avdiyivka's industrial zone and the village of Kamianka, while using the same weapons twice outside the villages of Zaitseve and Nevelske. Ukraine's strongholds near Butivka coal mine and the village of Pisky also came under enemy fire. 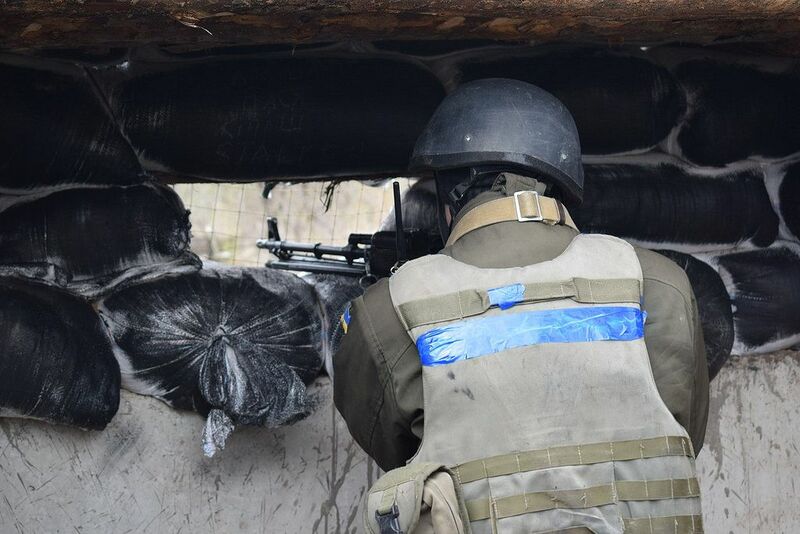 Read alsoDonbas militants intensify attacks, Ukraine’s forces return fire: ATO reportIn the Mariupol sector, the Russian-backed militants opened fire from automatic grenade launchers near the village of Vodiane, while using machine guns on the outskirts of Hnutove. In addition, the ATO strong points came under machine gun fire outside the villages of Talakivka and Pavlopil. The ceasefire was observed in the Luhansk sector at the end of the day.